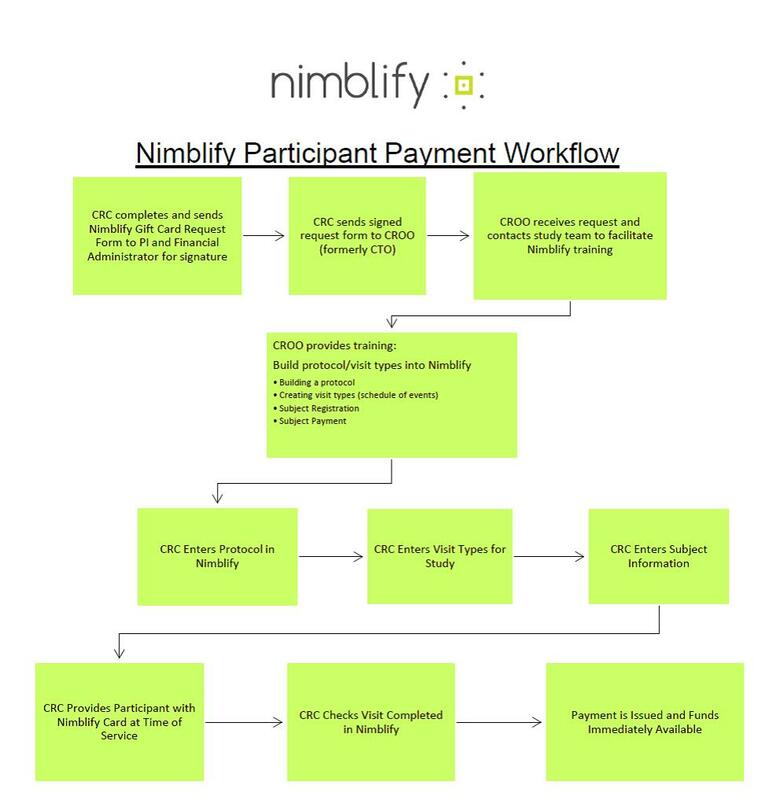 Nimblify is an automated, participant-centered, payment system that is replacing GUMC’s current research gift card policy and research participant check request process. Nimblify puts payment in your control and gives you the opportunity to pay participants at-will based on the constraints of your study. The system allows us to release funds for both payment (stipends) and reimbursements (travel, etc). Each participant is issued a card which is good for “life” at GU (the card can be re-used as the subject enters various studies at GU). This allows us the ability to track research participation payments and to follow compliance standards. We are working to migrate all studies utilizing gift cards and checks to Nimblify. Studies in immediate need of gift cards should complete the Nimblify Payment Request Form and email it to the CROO office. You will now see the Forte logo associated with Nimblify. Nimblify product lines have moved under the umbrella of the parent company, Forte. This does not affect basic operations.